Page 12 – Chapter 1 (Raque Ja) of Bone 5: Rock Jaw – Master of the Eastern Border. 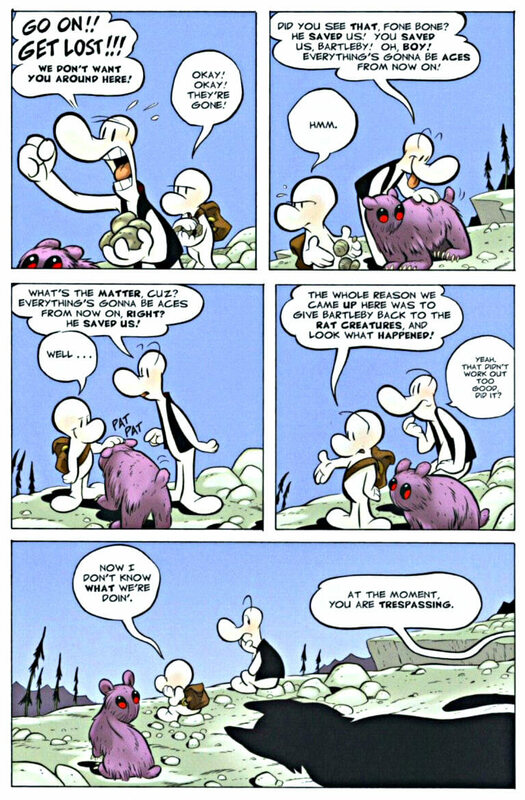 The 5th collected graphic novel edition of the hilarious and epic Bone Comic series by Jeff Smith. Fone Bone and Smiley Bone are entering the eastern mountain, where they meet the gigantic lion Roque Ja, small possums and raccoon, Stupid Rat Creatures dou, and King Dok.